A challenge that many companies face with data collection is that it needs to happen in a variety of locations and then be accessed by the office team or sent somewhere else. While paperwork slows your business down, a major benefit of mobile forms is that they can be used from anywhere and provide a solution to this data collection problem. When you use mobile technology, your team can collect data and submit the paperwork they need to, regardless of where they are at the time. Being able to collect and access data in real-time means that workflows and processes can move forward and aren’t restricted to when paperwork is delivered to the office from off-site. Another important feature of mobile forms is that all functionality is available whether or not you have a cell or Internet connection. So you can still complete forms on mobile devices regardless of connectivity and your data will be safely stored until there is a connection. You don’t need to worry about losing your information, searching for a computer to send in a report, or needing to wait until a later time to get forms completed. Mobile forms are a valuable option for unexpected situations, such as a natural disaster. We’ve seen the devastating impact of Hurricane Harvey and Hurricane Irma. After such extreme storms, recovery efforts need to move forward without delays, whether or not cell towers and power lines have been damaged. Having a solution that works without an Internet or cell connection is crucial for creating a response plan after a natural disaster. Forms on mobile devices can be used to complete site assessments. That way, managers can receive a report in real-time and understand the scope of all damage at each location. Recovery efforts can then be scheduled and other decisions made to get things back up and running as quickly as possible. For logistics companies who have fleets completing hauls in a variety of locations, mobile forms are a great option. No matter where a driver is, they can still submit their vehicle inspection reports at the beginning and end of the day, even if they're on a rural route with no cell service, or at a rest stop without Internet. You'll also be able to stay on top of delivery confirmations, no matter where they are made, which will keep clients and managers informed. 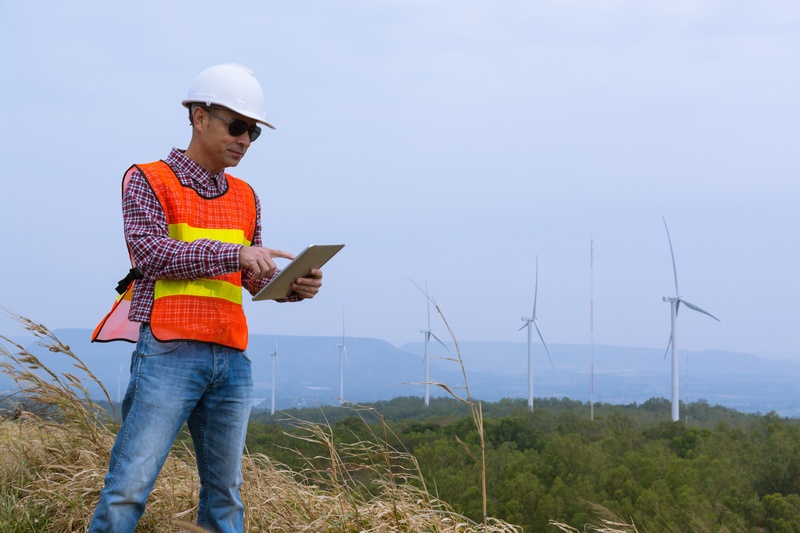 When you're completing a construction project at a remote or rural job site, you may not always have a reliable cell connection or available Internet. But you still have paperwork to complete in order for the job to move forward. Mobile forms allow you to complete inspections and audits while on site and will store all submissions until you’ve regained a connection. And there is no additional step to take once you have a connection again. All of your forms will continue to their destinations automatically. Or maybe you need to send in a purchase order request from a project site. You can fill out the request on your mobile device and get the materials you need instead of being held up waiting until you can deliver the form back to the accounting department for approval. Filling out forms on mobile devices leads to instantaneous data transfer back to the office, however, this isn't always an option. Being functional without a connection means you can continue to get the job done, no matter where the job may be. Get started collecting forms on your mobile devices. We can show you how with a demo.